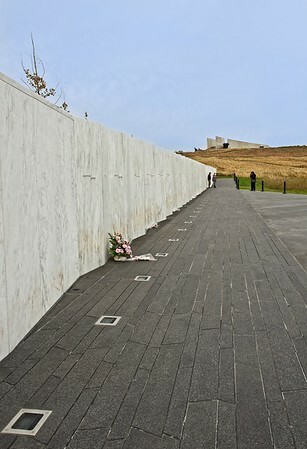 Flight 93 Visitors Center, the walkway the people are on is the actual Flight Path of the plane, it crashed in the field just beyond the Visitors Center. 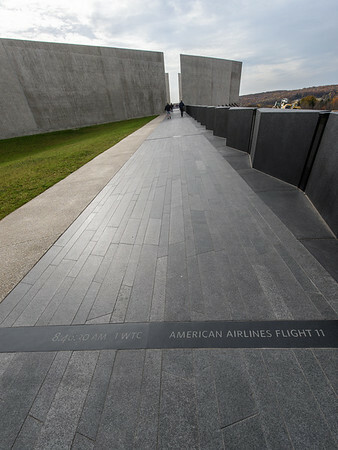 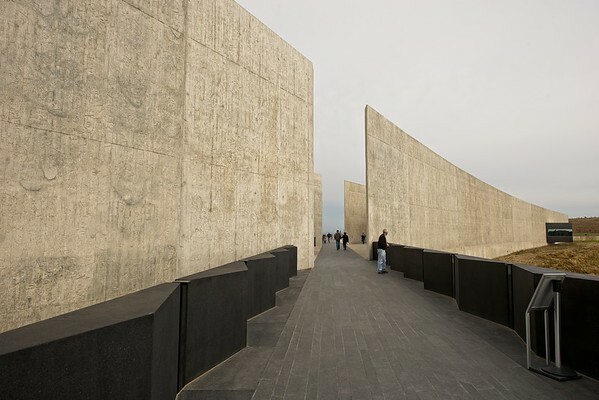 The walkway also lists the 4 flights that crashed that day. 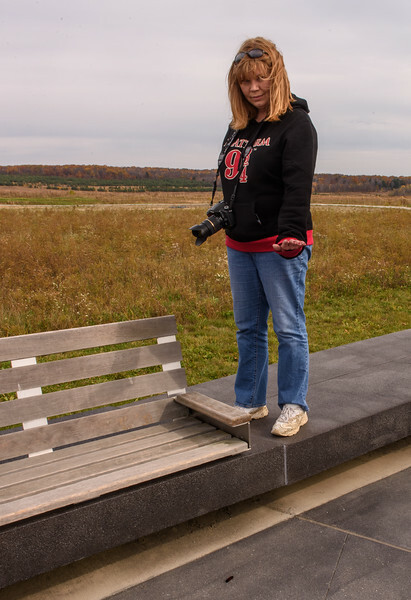 The Flight 93 Visitors Center, from this angle the plane would have been flying toward where I'm standing to take the photo and crashed into the field behind me. 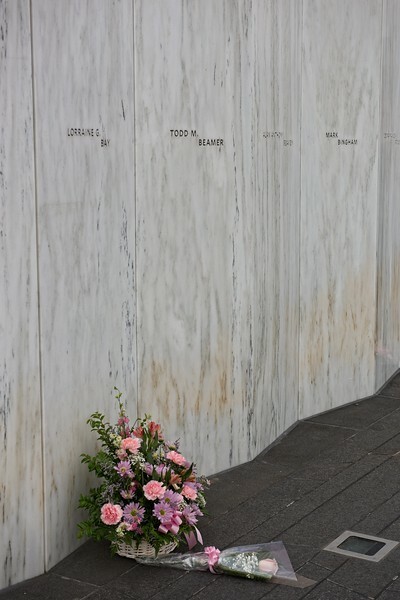 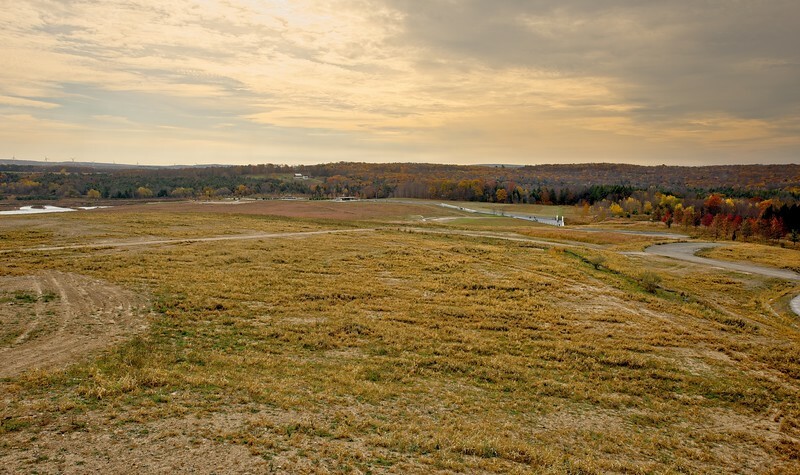 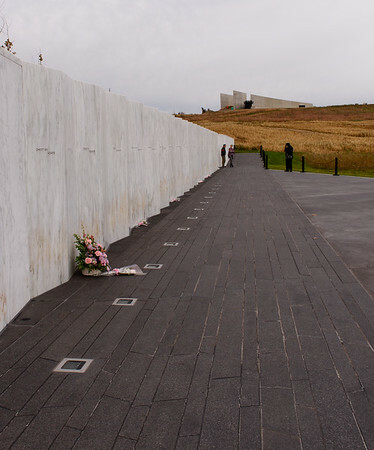 The field where Flight 93 crashed. 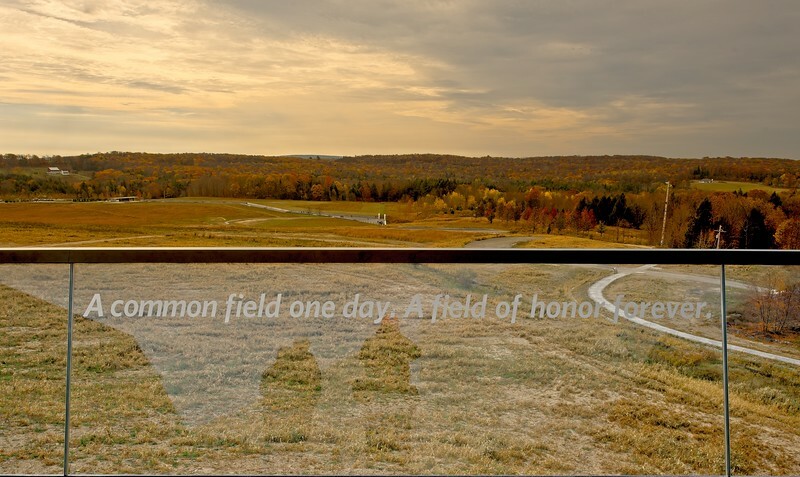 This is an overlook from the Visitors Center. 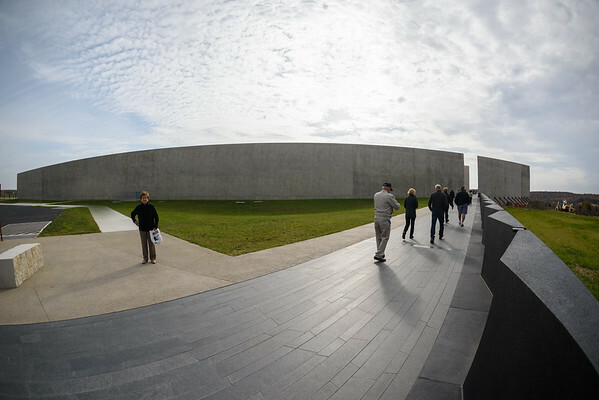 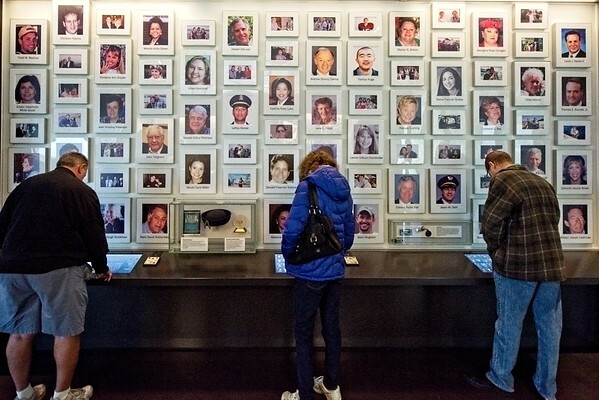 The Wall Of Names is in the center of the photo. The Wall of Names, there are 40 panels, one for each passenger and crew member. 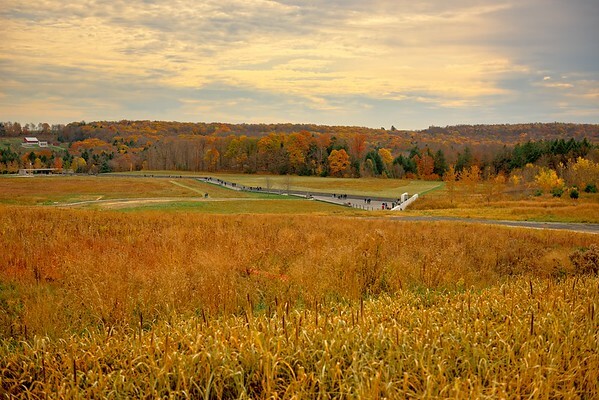 on the top of the hill is the Visitors Center. 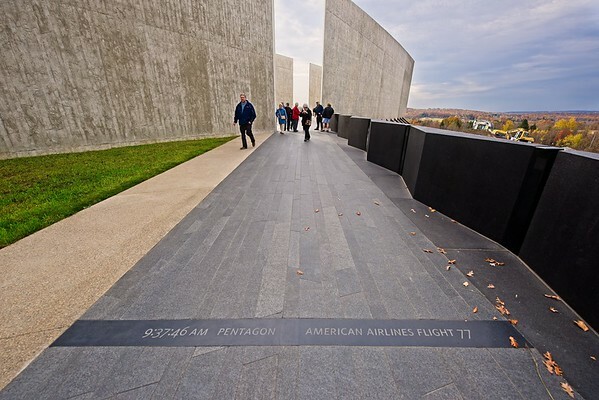 The walkway is the actual flight of the plane and is lit up at night. 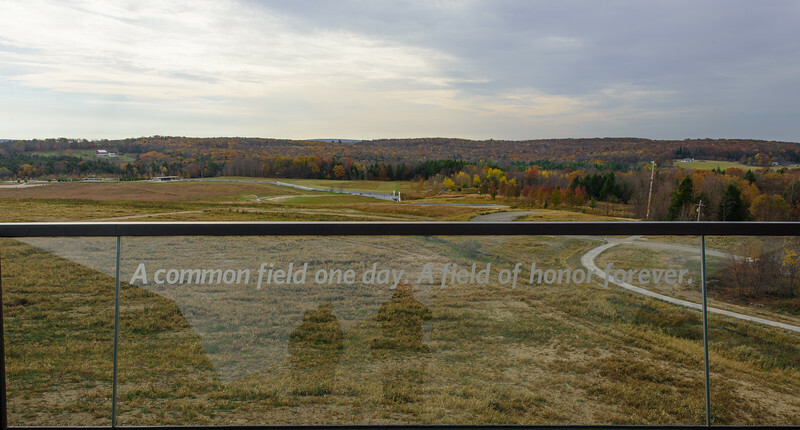 The plane flew over the area of the Visitors Center and then over this area where the Wall of Name is and crashed in the field behind where I'm standing.